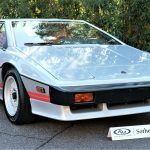 Phoenix, Ariz. (January, 2017) — Collector car experts at ClassicCars.com — Bob Golfen, Larry Edsall and Andy Reid — share their expert opinions about what is happening in the collector car world after attending the seven auctions of Arizona Car Week. With more than $250 million in preliminary sales figures, a significant increase from the previous year, it became apparent that a new generation of car collectors has been established. New research and on-site observations suggest a changing landscape for collectible car buyers. Associate Editor Writer Bob Golfen observed that vintage classics from the 1930s sold for less than he had anticipated, “I was chagrinned to see so many really nice old cars from the 1930s selling for a relative pittance,” Golfen said. “Though not cheap, it was still a lot less than I thought they deserved. This is reflective of the latest trends in the collector car marketplace, where a gorgeously restored 1934 Ford roadster went for $52,800 and an exceptional 1941 Cadillac convertible coupe sold for $60,500.” Golfen also observed that modern exotics and cars of the ’80s and ’90s were definitely on the rise, classic muscle car prices continued their strength and ’50s pickup trucks sold for strong prices as well. Larry Edsall, Editorial Director, was surprised by the number of consignors who turned down high bids on their vehicles. “At Bonhams, the owner of the 1960 Ferrari 250 GT SWB California Spider turned down a bid of $10.65 million, which I’m pretty confident is the most ever bid on a car in Arizona (no car has ever sold for more than $9.9 million in the auctions here),” Edsall said. “At Russo and Steele, the owner of the 2004 Ford GT prototype didn’t sell to a $600,000 bid – a pretty nice number for such a car.” Overall sales at the Arizona auctions were up compared to 2016 and 2014, thanks to the addition of the Worldwide Auctioneers event and the big boost at Bonhams, which nearly doubled 2016 results. Russo and Steele was also up by $1.2 million and its sell-through rate this year was 74 percent, a gigantic leap compared to 56 percent a year ago. Another significant observation Edsall noted was the average sale price this year dropped to $89,601 compared to $115,729 in 2016. 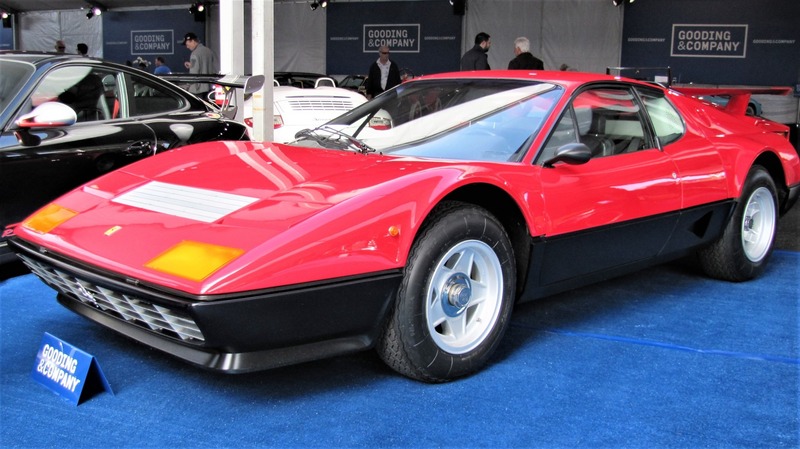 East Coast Editor Andy Reid observed that modern Porches, Mercedes and Ferraris are hot commodities, while older model years declined in price. For example, RM Sotheby’s sold a black 1995 Ferrari F50 for $3,135,000 and a 1990 Mercedes-Benz 190 E Evolution II for $220,000. Reid also observed some dips in cars that had previously sold for much higher prices in the past including Mercedes-Benz 190 SLs, which struggled to surpass the $100,000 mark this year and had easily sold for $150,000-$200,000 just a year ago. The price points for early 911 Porches stabilized a bit this year, dipping to around $150,000. One of the most surprising strong sales to Reid was the 1964 Aston Martin DB5 at the Barrett-Jackson auction which sold for $1,485,000. 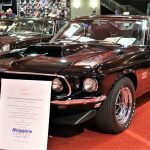 Reid also noted that the best bargains during the week were the rare Mopar muscle cars at the RM Sotheby’s auctions selling for a third to half of their pre-auction estimated values. This newly defined marketspace is set to propel future sales of up-and-coming classics that will add their numbers to the current trend of collectible cars. The experts at ClassicCars.com will continue to monitor the data and provide in-depth analysis of emerging trends.